Being a small family owned & operated business, we take full advantage of our flexibility and offer you a week-long celebration of Black Friday, Small Business Saturday, AND Cyber Monday with just one simple coupon code: 3IN1SALE ! Give us a call at 303-431-1117, send an email, or submit your request online and we'll be happy to bring your vision to life! Please be sure to mention the 3-IN-1-SALE and be advised that our office will be closed Thursday through Sunday, returning Monday, November 30th, 2015 at which time we will process your request. Thank you! A flag is innately special, as it is loaded with history, meaning, and symbolism. A custom family crest flag for example, can instill the feelings of pride, togetherness, and a sense of where one came from. A custom military flag can incorporate symbols of your one's unit and honor one's fellow comrades. A custom flag can show one's allegiance to a sports team or band. 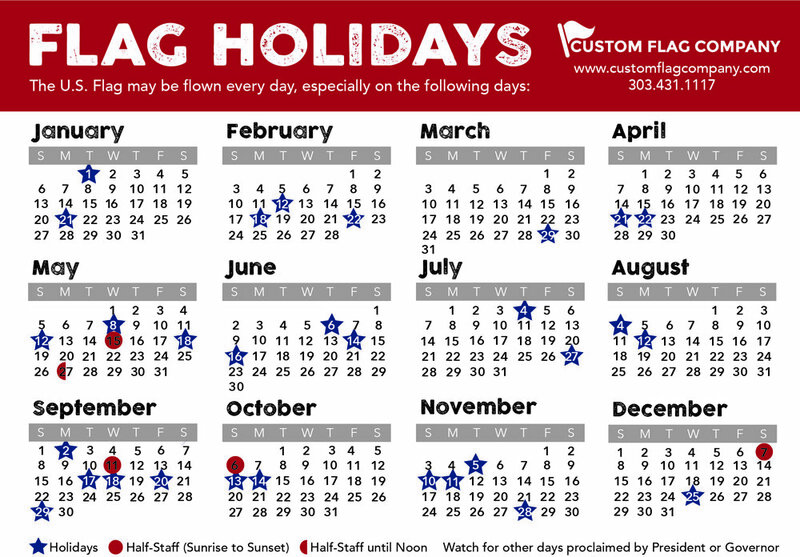 The list is endless when it comes to a custom flag and whether you have an idea we can draw up for you, or you've got your file ready to print, we here at Custom Flag Company make it super easy for you! Posted on November 23, 2015 by Kim Griebling and filed under Sale, Custom Flags.